The Frankford Arsenal® Platinum Series Brass Dryer is a quick, convenient, and efficient system for drying your brass. 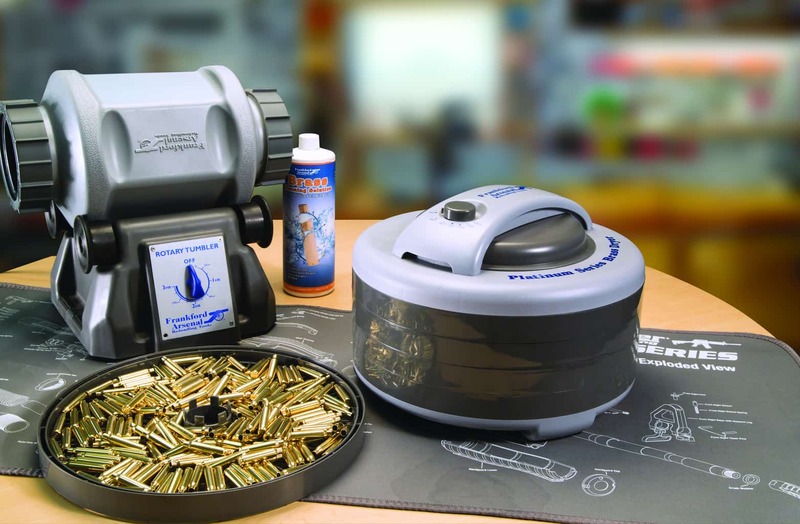 This dryer is the perfect tool for drying your rifle and pistol brass after wet case cleaning processes such as rotary tumbling or ultrasonic cleaning. 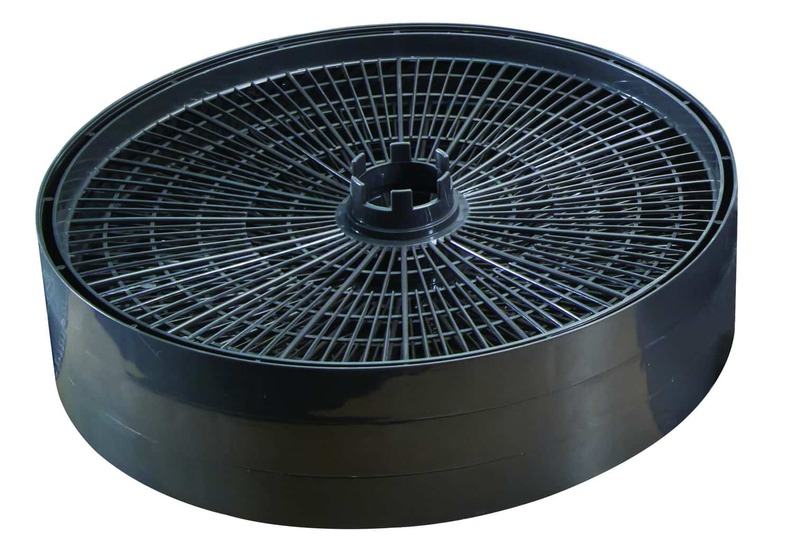 The separate and removable trays let you dry different calibers at the same time without mixing them together. 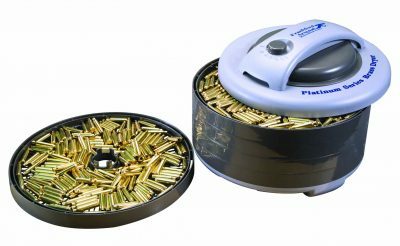 The Brass Dryer is a high-capacity unit that can dry up to 1000 pieces of .223 rifle brass or up to 2000 pieces of 9mm pistol brass. 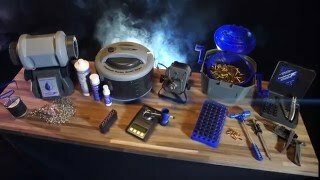 This dryer can dry your brass cases inside and out in under an hour. 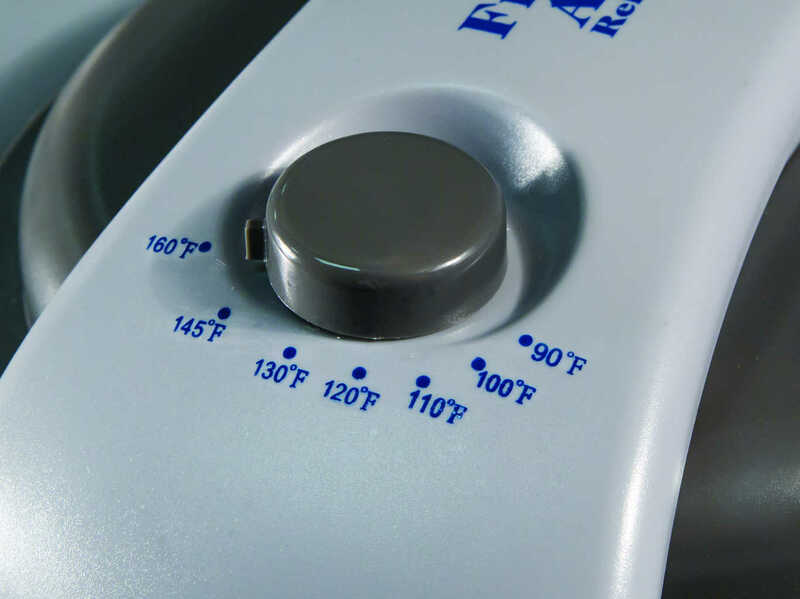 The forced air convection heating lessens the chance of watermarks on your newly clean brass. 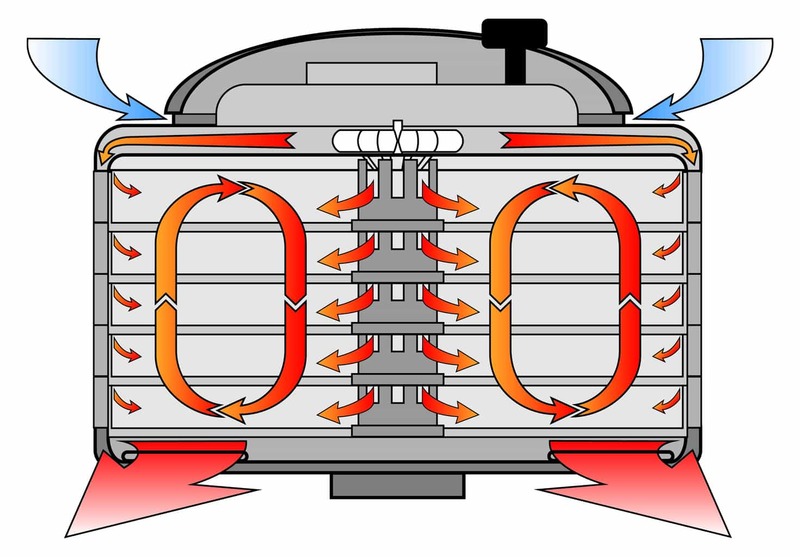 The powerful 500 Watt heating system heats air quickly and consistently, which reduces drying time. The forced air flow design ensures that heat and air are evenly distributed throughout the separate trays, drying the cases inside and out. 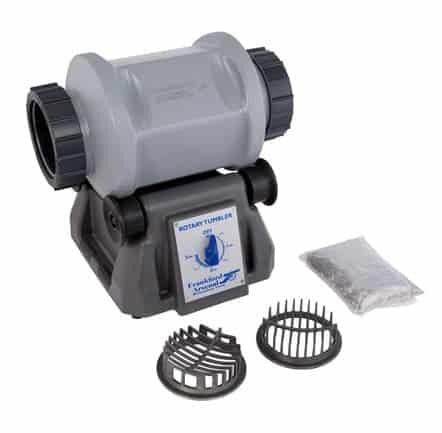 The top mounted fan ensures that no moisture from the cleaning process can accumulate in the circuitry. The drying trays have fine grated bottoms and retaining ribs to keep your brass separated on different layers. 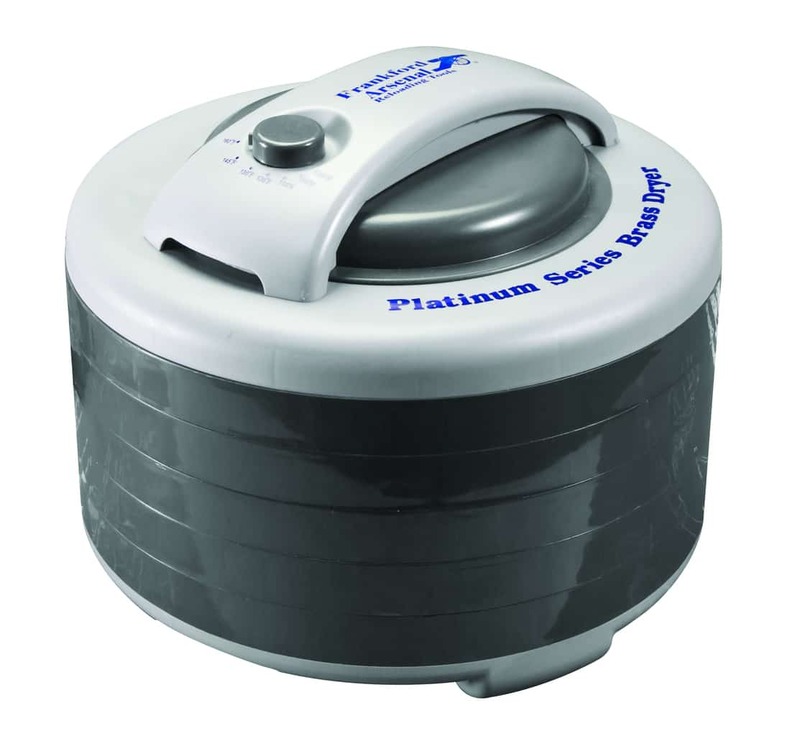 Combined with a Platinum Series Rotary Tumbler, dirty corroded range brass will be as shiny as new. Bought one of these last year. Works well drying the brass cases. Construction is of rigid plastic which will chip or break if accidently dropped. the bottom of the dryer.